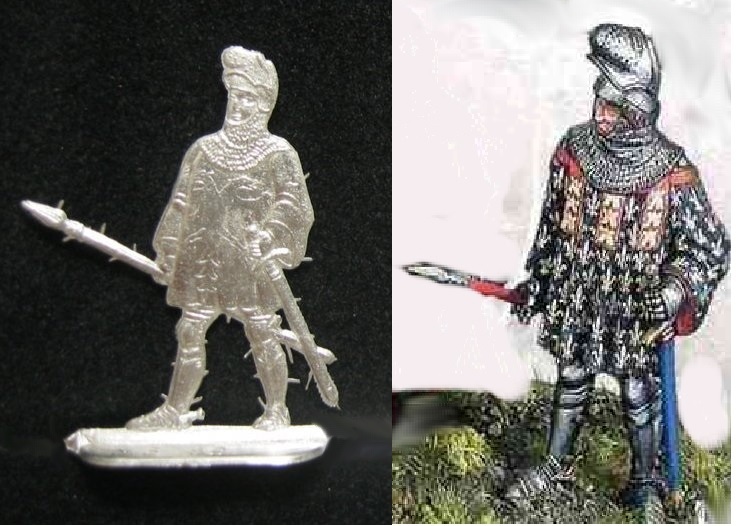 I have ordered a set of these and would also like to join your project as well. 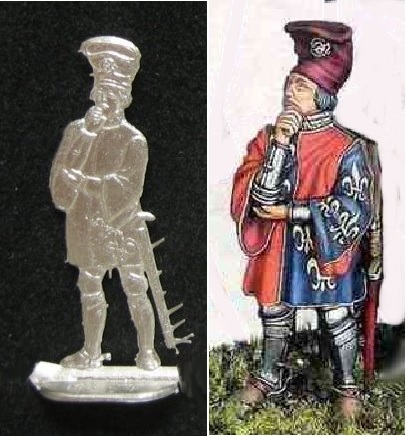 A favorite period of mine, these are some figures I have been working on for a while in three dimensions - still have not got the painting of fleur de lys down quite right. To our members and also visitors !! 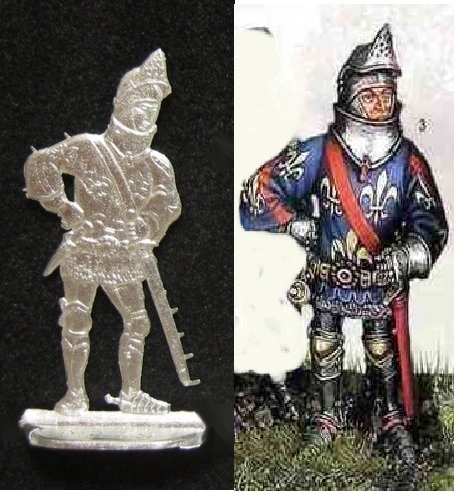 With the new issue of eight flats by Mauro Venturi, drawing of Andrea Gagelmann an engraving by Regina Sonntag, from MB Miniatures for Kulmbach this year representing eight characters of the famous battle of Agincourt in 1415 opposing the English army of Henry V against French Army led by the Constable f France, Charles Albret, I propose to start a new painting project extending till next year July 15th 2018, and addressed to BFFS Members and non-Members !! 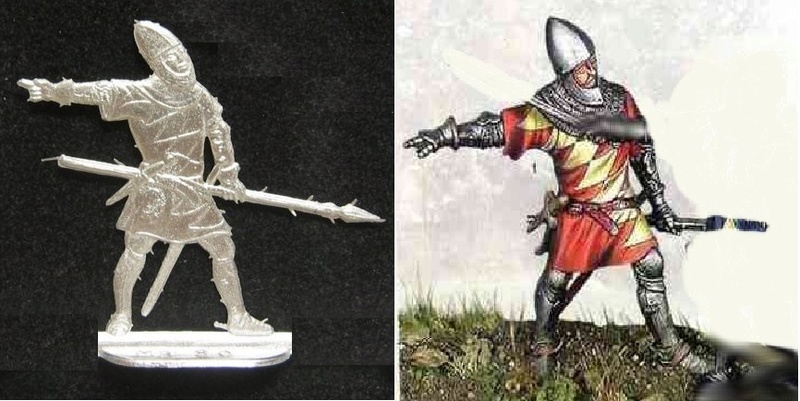 These flats are based on 1/72 figures on the same subject and magnificently painted by MB Miniatures, and will be a première as far as the flats are concerned …. 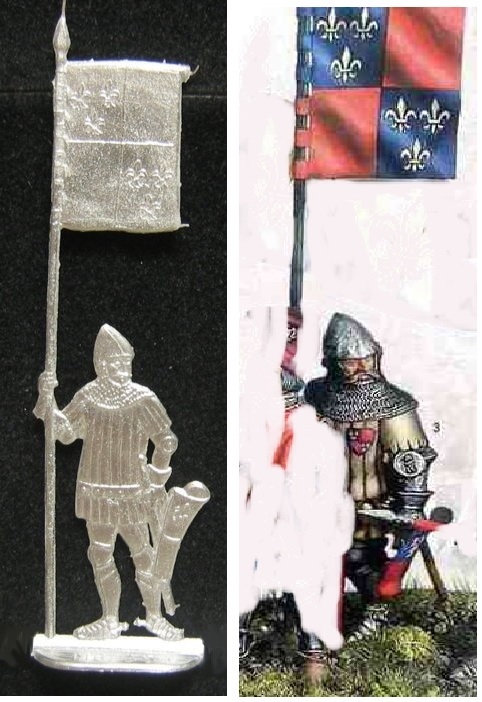 I suggest that each participant will receive two (2) flats of his /her choice (**) among the set of eight, free of charge, and commits to paint them and send them UNFRAMED for free and no return to BFFS in England, person to be designated, and this before July 2018, to be consolidated and exposed by BFFS at Euromilitaire 2018 and subsequent competitions. An article will also be issued in the BFFS Magazine. During the painting period, you are also kindly invited to explain, perhaps discuss, question the paintings on this site here and on this post, and we will present the pictures of the finished paintings in the Gallery, as figures are returned to BFFS. We need by reply your registration here, your choice of two characters (first in-first served) and your shipping address and email contact for communication, by MP. (**) Choice can be indicated on registration or on picking up the two pieces at the BFFS booth at Kulmbach during the festival ! We will post the two flats selected after Kulmbach during the month of August, unless picked up on site at the BFFS booth in the tent, if you are present! 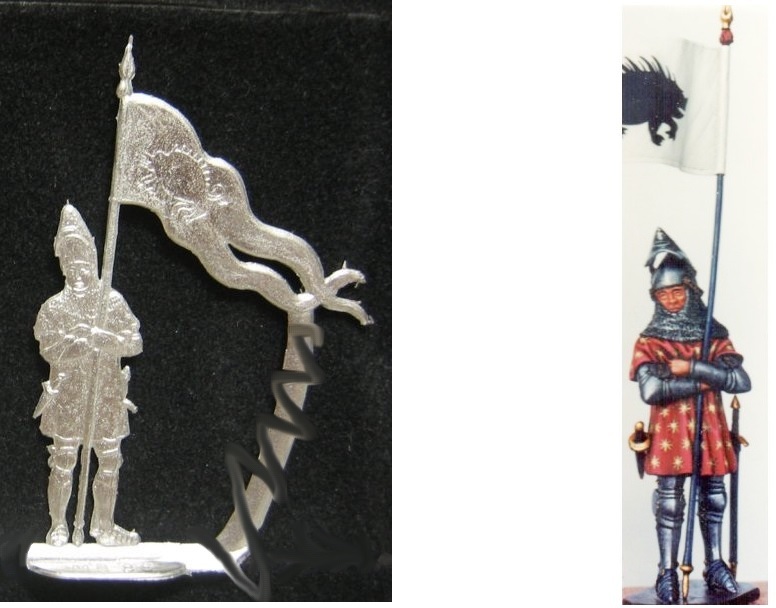 As orders to the editor should be placed rapidly for Kulmbach, I would appreciate receiving your interest and future registration, to determine how many additional sets might be ordered for end of next week at Kulmbach. 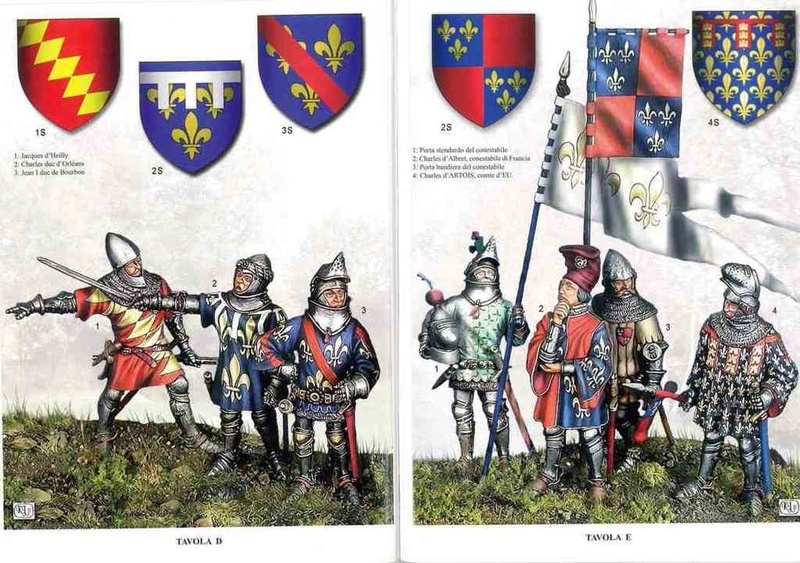 The eight flats represent the main commanders of the French army which took part to the Agincourt battle on October 25th, 1415, ending with disaster for the French, during the Hundred Years war. 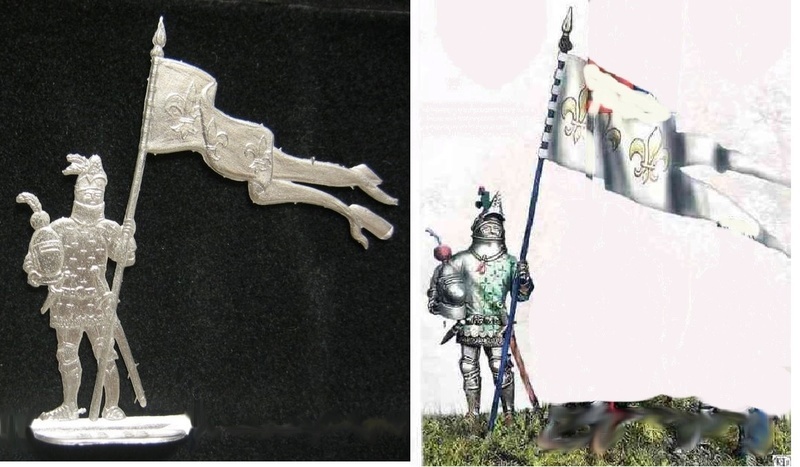 Proper documentation will be provided electronically for the coat of arms based upon figures paintings. Thank you for your participation and interpretation of this very rich period of the Middle Age, revealing your talents and exchanging information about our mutual hobby and passion !!! 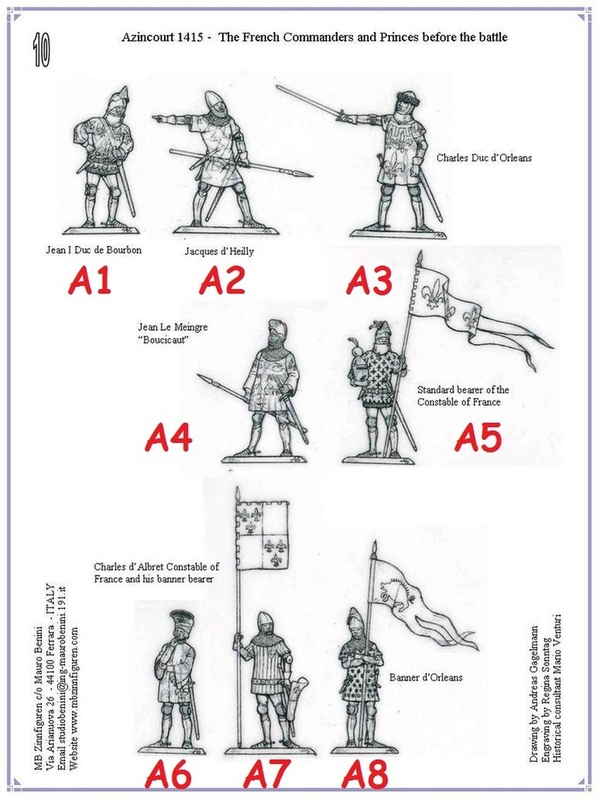 We will keep you informed of the remaining flats available here, as they are selected; first selected, first served... Three sets of the eight flats will be available = twenty four (24) figures or twelve pairs; more later if needed and asked by the end of the Kulmbach show ! !